The effects of cancer span a wide spectrum — physical, mental, emotional, social and even financial. CTCA is unique in that it provides services to address all these aspects and more. For Dr. Karan Shah, Radiation Oncologist at Cancer Treatment Centers of America ® (CTCA), a career in medicine was the inevitable choice. “Being a doctor allows me to merge my interest in the human body with my desire to make a positive difference in the world,” he says. Born in India, Dr. Shah came to the United States at age 12. He completed his Bachelor of Science in Biology, with a minor in biostatistics and accounting, at Loyola University Chicago, where he also completed a Masters in Business Administration with concentration in healthcare management and finance. He completed his Doctor of Medicine at Loyola University Stritch School of Medicine in 2010, attending on a full-tuition merit scholarship and receiving the President’s Medallion for outstanding achievement in his final year. Dr. Shah completed a Transitional Internship at Resurrection Medical Center in Chicago from 2010 to 2011. He completed his Residency in Radiation Oncology at Loyola University Medical Center, becoming Chief Resident in 2014. 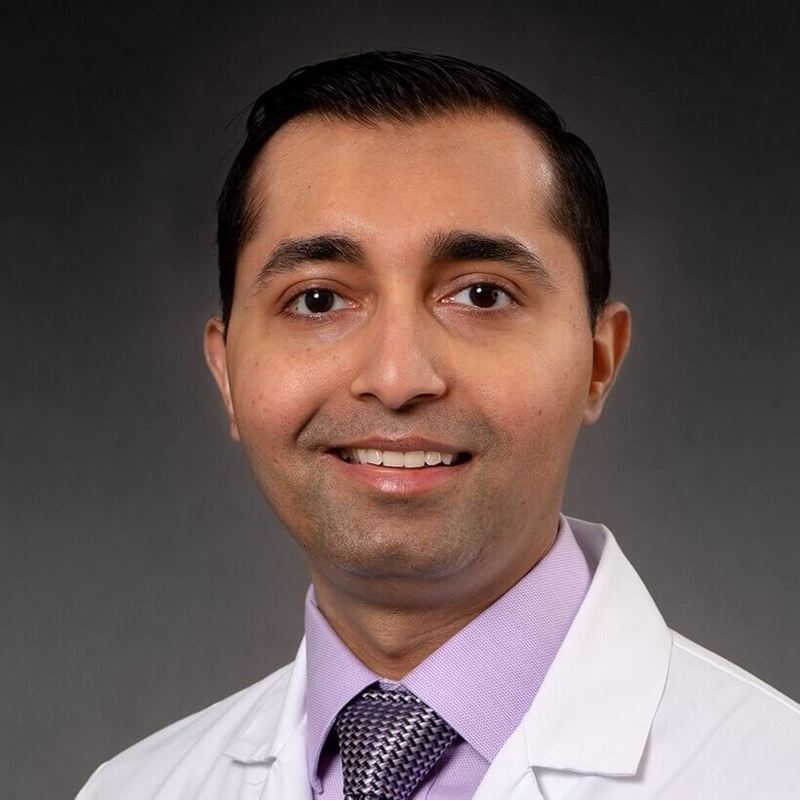 During residency, Dr. Shah published original research on head and neck cancer and radiation oncology in several peer-reviewed medical journals. He authored a phase I protocol investigating the combination of intraoperative radiotherapy with kyphoplasty to treat spinal metastases. He is a member and serves on the Health Policy Council of the American Society for Radiation Oncology. When he is not at CTCA, Dr. Shah enjoys basketball, music, travel, leisure reading and spending time with family and friends. "I highly recommend them. They were thoughtful and sincere. Information were readily available which gave me time to assess and come to a educated decision." "recommend to any one this is the place to come if you have cancer. such care and educated doctors"
"*Dr. Shah is great knowledgeable & compassionate, patient. Very happy with him." "in the beginning I had lots of confidence in him and the technology. lost some of that confidence when I asked if my back would be affected because of things I had heard. he said I had no worries about my back because the direction of radiation. however my back was affected which made me loose confidence in either his knowledge or honesty." "Dr. Shaw is the best. He is a brilliant doctor and I would recommend him to anyone." "Thank you again for Dr. Shah." "Dr. Shah is likely the best doctor I have ever been treated by. Not only do I have confidence in him medically, but he seems to care about me. He is available, knowledgeable, personable, professional. I and my family am very happy with his care and thankful to God that he is treating me." "I have the utmost confidence in Dr. Shah's plan to treat my cancer."